The specimen is from a recent find at this Peruvian locality, completely unknown a short time ago. 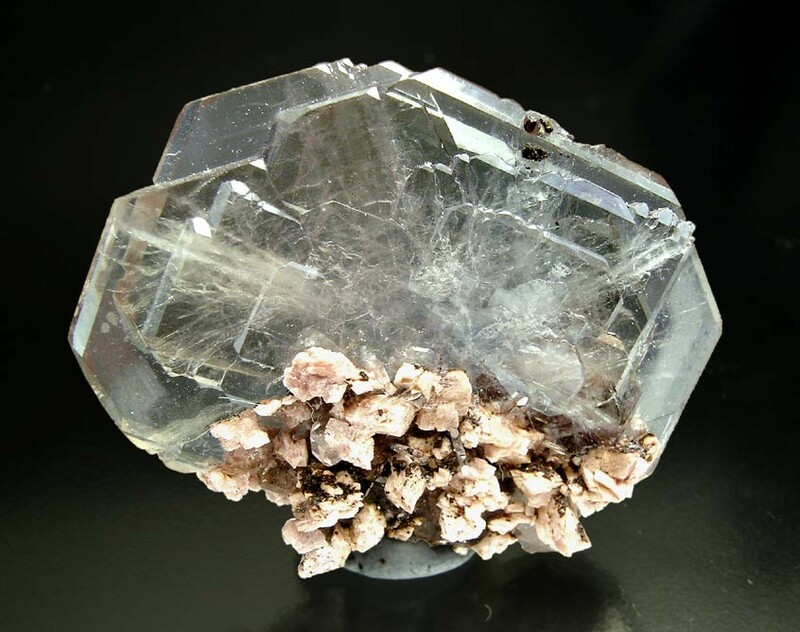 Crystals are between tabular and laminar and have an exceptional luster and are on a small matrix of Dolomite. Fluorescence under UV light is spectacular, having curious and well defined zones of different intensity.